Our thoughts on cookie cutters often include warm memories that last a lifetime. Just think of the colorfully shaped cookies you've seen at Christmas time, birthdays, or on other special occasions. And, who could ever forget the animal-shaped cookies from their childhood? Those cookies were so special. 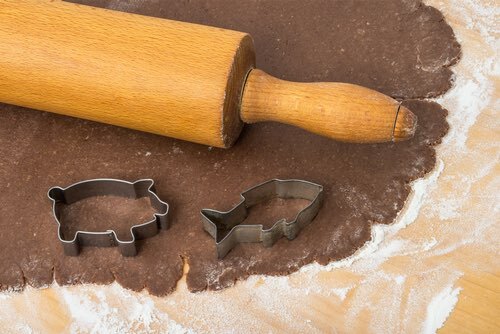 I can still recall a pig-shaped cutter that I used as a young child. I had such fun cutting the cookies and decorating them with colored icing. Even without the icing, those "piggy cookies" always seemed to taste so much better than plain ones. I'm sure you know what I mean. Aside from using colored icing, cookie shapes can also be hand decorated by placing candied fruit, maraschino cherries, nuts, raisins, or colored sugar sprinkles on the cookie before baking. As a rule, the simpler the design, the better the appearance. Just use your creative imagination, and you'll be pleased with the results. And it isn't only kids who love specialty dough cutters. Nowadays, adults love to collect them, especially the old fashioned kind. Metal ones manufactured from tin and copper can last for generations and became family heirlooms. 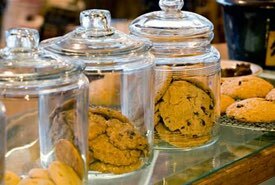 Serious collectors can join the national Cookie Cutter Collectors Club (CCCC) and attend regional conventions where they can share old favorites and discuss new shapes. The club also supports the National Cookie Cutter Historical Museum in Joplin, MO. The museum not only displays antique cutters, but features hand-crafted cutters created by artistic tinsmiths. Enjoy watching this short YouTube video that shows how to make fancy homemade cookies by cutting the rolled dough in festive shapes. 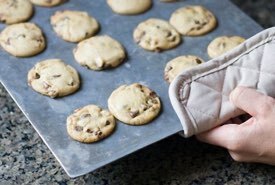 Sometimes, you'll want to bake a cookie in a special custom shape that you cannot find a cutter for. The following YouTube video describes an easy method to create your own cutters and cut cookies in any shape you desire. Nowadays, you can find a large selection of cutters in plastic or metal at very affordable prices. There's everything from mini to giant sizes in interesting, imaginative shapes. Simply get a set now, and get creative.